Well it is official, over a year of trying, I got a sleep safe bed for Jayden. It currently is “in process” being made. It should be here in 4-6 weeks. Jayden wakes throughout the night, so for the past two years, he has been sleeping on our floor for safety reasons, and because it is easier to get him back to sleep. In light of IL being one of the worst states to help families like ours, they pulled through and covered the cheapest ($5,000+) bed for us. It is just like a crib, but it functions as a “daybed” during the day, and then when Jayden gets in, the sides fold up and it is an open top, twin size crib. Instead of rails, it has plexy glass windows so he can see out. We requested a hospital type bed that you raise and lower for the future, but because he doesn’t need it now, they didn’t want to pay $16,000+ for it. I get that. So, when Brooklyn needs a bed, I will just try to get Jayden’s “upgraded”. For the sake of sharing with other mom’s and dad’s trying to get one approved, here is the letter that sealed the deal for us. (After 3 denials with Dr. letters, I wrote my own). Meet Jayden Boyce. He is an energetic, loving four year-old with Sanfilippo Syndrome. He loves trucks, Bob the builder, and anything that comes with dirt. He boasts a smile that would warm any heart. He is followed by Dr. Barbara Burton, genetics at Children’s Memorial in Chicago. He attends year round school and receives speech, OT, PT, and special education. 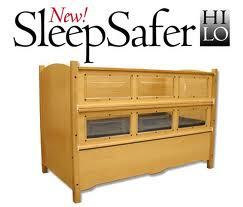 He also is followed at the University of Minnesota by Dr. Whitley, who also recommends the sleep safe bed. MPS IIIA, or Sanfilippo syndrome, is a rare, genetic disorder with no treatment or cure. Over time, we will watch Jayden slowly fade away and instead of celebrating his driver’s license or watching his football games, we will be changing his diapers and pushing him in a wheelchair. Instead of attending his graduation, we will be attending his funeral. Jayden has already shows marked regression functioning at 18 months developmentally. He doesn’t understand normal safety precautions and requires 24 hour supervision. To complicate matters, he has a VP programmable shunt due to an arachnoid cyst that ruptured in his brain June 2010. If he falls or hits his head, it is a serious injury. He can open exterior doors, open the oven door, refrigerator, and cabinets, climbs on furniture, and destroys anything in his path. According to the National MPS Society, children with Sanfilippo are extremely active and restless with very difficult behaviour. Some children sleep very little at night. Many will be into everything. Many like to chew: hands, clothes or anything they can get hold of. Sadly, language and understanding will gradually be lost and parents may find it hard not being able to have a conversation with their child. Many will find other ways of communicating. Some children never become toilet trained, and those who do will eventually lose the ability. As children with MPS III syndrome get older, they begin to slow down. They become unsteady on their feet, tending to fall frequently as they walk or run. Eventually they lose the ability to walk. Life may be more peaceful in some ways, but parents will need help with the physically tiring task of caring for an immobile child or teenager. Jayden currently sleeps on our floor, and has for the past 1.5 years. He wakes frequently in the night, waking up both myself and my husband. In order to keep him from waking his sister (who also has Sanfilippo), and wandering or escaping the home, or inducing bodily injury to himself or his sister, we have decided the floor is currently the only option. It is a serious safety concern for Jayden to be in the current twin bed we have for him in his own room. Bed rails don’t prevent injury, and prior to sleeping on our floor, he would fall out of bed, even with toddler bed rails, wake frequently and roam. He fell out of bed multiple times, sustaining injuries. His ability to wander and injure himself is extremely dangerous and could be fatal. He also could chew or mouth something and choke if he got out of bed. We have a documented ER visit from Jayden swallowing an item that is not edible. One Sanfilippo family, who lost their son at 10 years old, experienced a full week of their son not sleeping. We are appealing the second denial of the sleep safe bed. The other options available like the canopy bed at http://www.pedicraft.com/canopybed.html is made of vinyl and plastic. It also comes with an enclosed top. Jayden hates to be confined and would feel trapped in an enclosed top. Because he is extremely active, he would be able to rip, push over, or get entrapped in a bed like the one mentioned. Therefore, this option is not safe, could cause injury, and is a hazardous option for Jayden. Although Jayden can climb, he has limited range of motion in the hip. When put in his sister’s crib, he can’t circle his leg high enough to get out and needs assistance. He is too long to sleep in a crib at his age, but a twin size crib, like the sleep safe bed is our best option. Not only will the sleep safe bed provide us with a full night’s sleep and peace of mind, it will meet all Jayden’s special needs and prevent injury. It is made of sturdy wood so he will not be able to push it over. It has plexy glass windows so he can see out and an open top so he will not feel entrapped. It also has a hospital bed that adjusts, so as his needs increase, the bed will grow with him. It is long enough for him to sleep comfortably and prevents wandering. Due to his limited range of motion, he could not climb out, preventing falls and injury. There are also no gaps between the mattress and side walls. The safety rails on the SleepSafer bed up to 33 inches above the mattress and can be quickly rotated out of the way for easy access. It meets all FDA guidelines that a home-built bed would not. According to the FDA, [the] FDA received approximately 691 entrapment reports over a period of 21 years from January 1, 1985, to January 1, 20069. In these reports, 413 people died, 120 were injured, and 158 were near-miss events with no serious injury as a result of intervention. These entrapment events have occurred in openings within the bed rails, between the bed rails and mattresses, under bed rails, between split rails, and between the bed rails and head or foot boards. The population most vulnerable to entrapment are elderly patients and residents, especially those who are frail, confused, restless, or who have uncontrolled body movement. The bed accommodates both his extremely active behavior now, and his limited mobility issues later, necessitating only one bed for a lifetime. The high lo feature will assist with getting him into bed at the lower level and keep the rail safety at optimum height. The high feature will assist with multiple diaper changes and dressing. The articulation of the head will help with cold prevention and assist later with feeding. We are requesting the State of IL reconsider the sleep safe bed as the best and safest option for Jayden. SleepSafer® Hi Lo meets these needs. It may not give us a treatment or cure, but it will give us peace of mind that he is safe and give us more time to enjoy our short time with him. Way to go Stef! Thanks for sharing the letter. I'm sure it will help in our venture into sleep safe beds! Love you and love your determination!